This article is going to tell you about the best photo organizer apps for iPhone & iPad . If you love to view, manage and share your photos, these apps would be very useful for your device. With the help of these photo manager apps, you can easily organize thousands of photos and other media files on your iPhone/iPad which can be explored easily in just few taps. Try these beautifully designed photo organizers on your iPhone. 1. 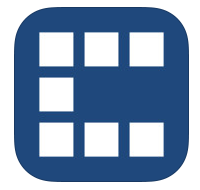 Collections Pro ( iPhone & iPad ) – Beautiful and easy to navigate photo organizer that helps you organize , browse and share photos quickly from your iPhone and iPad. Collections Pro comes with lots of features and allows users to different types of photo album for presentation. If you are looking for featured rich photo organizer that lets you organize your multimedia files in a beautiful way, you must try this app on your iOS device. The app allows you to choose different styles of photo template, secure your private photos, customize title and use lots of other advanced options. Recommended app for iOS users. 2. 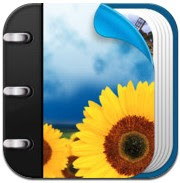 Photo Album ( iPhone & iPad ) – If you are looking for free and powerful photo organizer app for your device, Photo Album is one of the best options for you. Photo Album is a free photo management app that lets you organize your photos with drag and drop feature. Very useful and beautiful app that also helps you edit your pictures with lots of photo editing option and create beautiful animated slideshows. Great app for iPhone/iPad users that allows you add different types of photo effects & filters in your photographs to make them more stylish. Featured rich image organizer app that has lots of options, including photo sharing , password locking and backup creation features. 3. MyPics ( iPhone & iPad ) – Free but powerful photo organizer that helps you organize photos and videos easily on your iPhone or iPad. Mypics is one of the most useful free applications to view, organize , edit, share, backup your photos and videos. 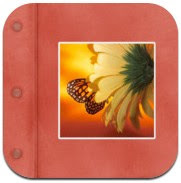 Featured rich media files organizer that is integrated with tons of features which can only be found in paid apps. 4. 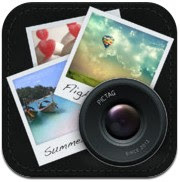 PicTag ( iPhone ) – Easy and the best way to organize and manage your pictures by adding searchable text tags to your photos. Great app that can be used to organize your vacation or event photos, upload albums to Facebook, share albums with your friends via emails and browse photos quickly. 5. Private Photo Vault ( iPhone & iPad ) – One of the best & most used photo albums on the Appstore that lets you keep your photos & videos safe from unwanted persons. Private photo vault helps you hide your private photos and videos and lets you manage all of your photos in a single place with organized way. If you want to hide your private moments from others, this app would be the best option for your iDevice. Private photo vault comes with many other features such as fully functional photo manager with passcode locker, photo sharing option, iTunes syncing , video player, elegant photo viewer, slideshow, photo gallery, private browser and many other features. The app is currently available free of cost and you can access full features by unlocking in-app purchase.